During the school year the look of my classroom changes. The posters on the wall change according to what we are doing. The documentation panels in the room change as I display the children’s work. During the month of September, the changes have been minimal as I wait for the walls in my room to be painted. The plastering was done in the days preceding the start of school – and I am still waiting for the walls to be painted! Classes begin whether the walls are painted or not. I continue working with the children but am unable to put things up on the wall. Our co-created alphabet lies in the basket on my desk; and the words for the word wall are still in a box in the cupboard. The unpainted walls, however, do not prevent the children from enjoying the reading centre. A classroom is not only made up of walls but also of the children that inhabit it and the activities they do within those walls. We have now moved into the month of October and I am hoping that the painting is done soon. I love decorating the classroom for Halloween and my fingers are itching to put up the skeletons and spiders. Thank you Nia. It looks like the students are enjoying their new environment. 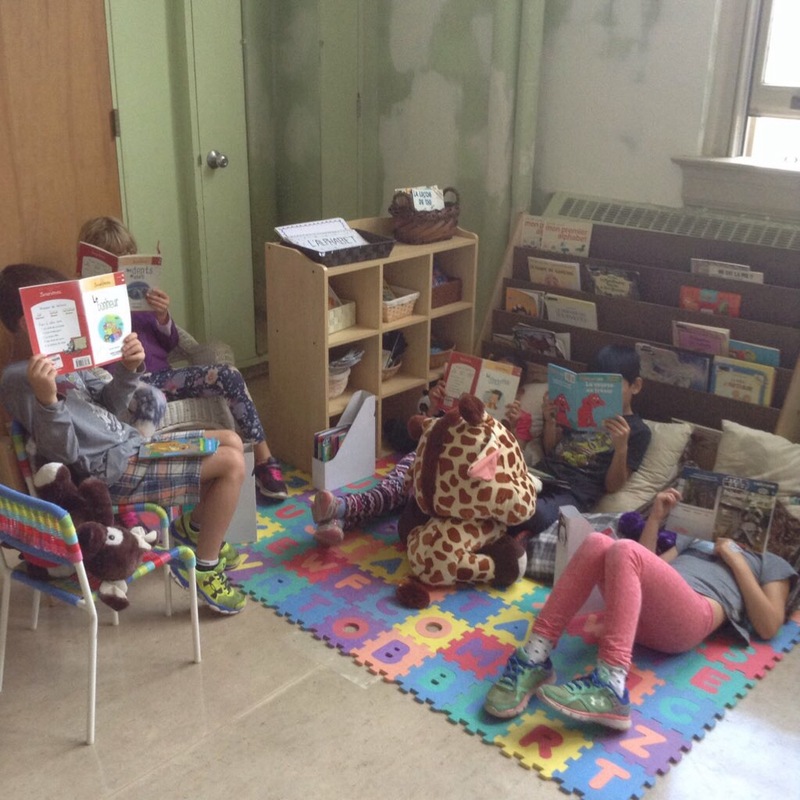 Those kids sure look like they are enjoying their reading area. I hope the walls are done sooner than later. It has been over a month since the plastering was done – and it doesn’t look like they are coming to paint anytime soon! 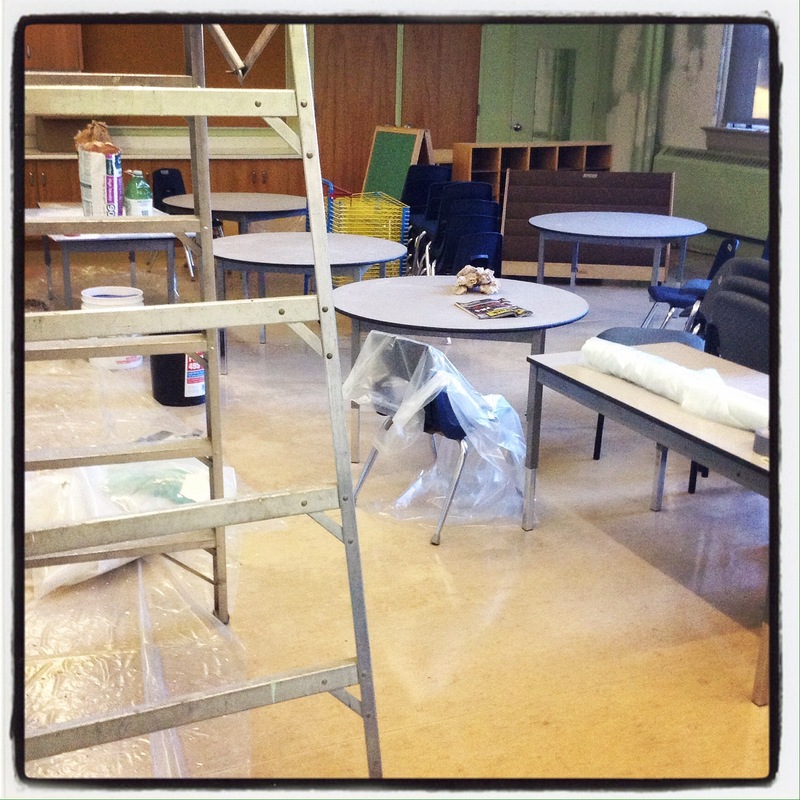 They were supposed to paint three weeks into the school year – and we are still waiting. This month we are decorating for Halloween so the look of the class is changing – we definitely cannot wait any longer. I hope your walls get painted soon. When my children were in school, I loved visiting their classrooms and observing how the rooms evolved throughout the year. They always reflected what the class was working on at the time. Thanks for sharing photos, for me, it’s like a step back to when my children were young. So many wonderful memories.